War Resisters' International has, over the years, published a range of books related to pacifism, nonviolence, and conscientious objection. Many of these are available online to free, or from our online bookshop. You can find more recent publications in the "Resources" menu above - below are a number of older books. 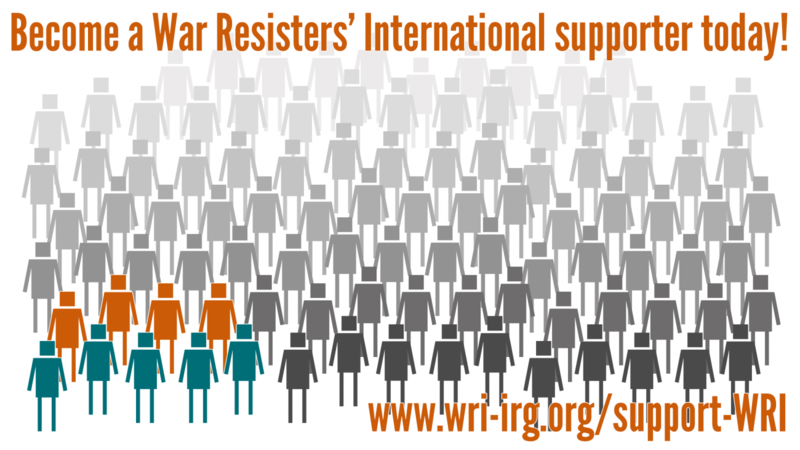 War Resisters' International was formed in reaction to the slaughter of the first World War with a mission not only to oppose all war but also to strive to eradicate its causes. Embodying the addition of a political dimension to the moral and religious basis of pacifism, it attracted some of the world's best pacifist thinkers and activists, amongst them George Lansbury, Mahatma Gandhi, Bertrand Russell, Bayard Rustin, Martin Niemoeller and Danilo Dolci. The contributions of such figures and the heroism of the thousands who refused to co-operate with their government's war apparatus are chronicled in this book. The story starts with an account of pacifism and nonviolent action in the context of the major world religions, leading on to developments in pacifist thoughts in the 19th and early 20th centuries. The core narrative of how the WRI was formed and developed over its first half century is based on extensive research in the WRI's historical archive. It sheds light on its many inspired and inspiring actions and debates that have as much relevance today as ever. Devi Prasad worked with Mahatma Gandhi from 1942 to 1947 and participated in the nonviolent social reform movements in India from independence onwards. He was General Secretary of the WRI from 1962-72, remaining closely involved with the International in the following two decades. He has lived in Delhi since 1983, teaching and making pottery and writing. You can read War Is a Crime Against Humanity online for free, here. Unarmed communities have ways of defending what they value, be it their environment or their very integrity as communities, be it basic rights and freedoms or particular social structures. There are alternatives to submission or violent resistance. This is illustrated both in many day-to-day social struggles and by populations without weapons defying the might of the military. Events in the second half of the 1980s - from the downfall of Marcos in the Philippines at the beginning of 1986 to the fall of Ceausescu in the last days of 1989 - dramatically illustrated the potential of people's power. In April 1990, War Resisters' International, in conjunction with the International Fellowship of Reconciliation and the University of Bradford School of Peace Studies, organised a conference on "Nonviolent Struggle and Social Defence". Most of the articles in this book were contributed at the conference. Talks by Petra Kelly, Jean-Marie Muller, Gene Sharp and Marko Hren addressed the potential role of people's power in developing non-military security policies. Contributors from Chile and China to Czechoslovakia, from the Philippines to Fiji, from Palestine to Poland, from Guatemala, India and South Africa discuss their recent experiences either of people's power or of state repression. The second half of the book - Social Defence: Arguments and Actions - was written by Brian Martin after the conference. "There are some superb academic studies, and there are numerous insights to be found in a wide range of books and articles", says Brian Martin, "but there really needs to be some practical introduction." You can read Nonviolent Struggle and Social Defence online for free, here. You can read Opening Doors to Peace online for free, here.